The Brazilian Constitution establishes that, as a rule, all purchases and sales made and all services and works hired by the public administration shall be preceded by a public bid. Federal Law No. 8,666/1993, which must be observed by all three branches of government, sets forth the general framework applicable to all public bids in the country. The Constitution also establishes principles by which the Brazilian public administration is bound: legality, impersonality, morality, publicity and efficiency. Federal Law No. 8,666/1993 added to these the concepts of ‘strict adherence to the request for proposal’ (RFP), and ‘objective judgement’ as principles that must be observed in public bids. As a consequence, the winning bidder is not the only entity legally attached to the terms and conditions set forth in the RFP: the administration is also forbidden to deviate from its terms throughout the tender process and the subsequent execution of the contract awarded thereby. Different statutes regulate specific public bids and contracts. Federal Law No. 8,987/1995, for instance, sets the general framework applicable to public services and public works concessions and permissions. As concessions usually involve long-term contracts, and as public services are of utmost relevance for the Brazilian economy and for the well-being of its citizens, this statute continues to be of high importance in the local legal framework. In 2004, Federal Law No. 11,079/2004 introduced public–private partnerships (PPPs) into the Brazilian legal system; in their national version, they roughly consist of (1) a public services or public works concession in which the compensation to be paid to the private party will result from a combination between tariffs charged from citizens and direct payments made by the administration; or (2) a long-term contract for the rendering of services to the administration, coupled with the execution of a construction project or the supply of goods. f actions executed by entities dedicated to science, technology and innovation. In 2016, the Bill of the State-Owned Companies (Federal Law No. 13,303/2016) created a specific framework for public bids held by such entities that is supposed to be more flexible than the general rules on the basis that state-owned companies compete in the market. In the same year, a new governmental programme called the Investment Partnership Programme (PPI) was launched to coordinate the most important infrastructure projects at the national level, and to serve as a one-stop shop for investors and other interested private parties. The PPI comprises a council, headed by the President himself and formed by central and sectoral line ministries, alongside presidents of federal banks (BNDES, Caixa and Banco do Brasil); and a Secretariat, staffed to exert advisory functions to the council, with support from the state-owned company EPL. In the wake of the Operation Car Wash investigation and the elements it has made public, there have been attempts to enhance public governance and improve public tender processes. Several public enterprises and mixed-economy companies have edited internal regulations, adapting their purchase procedures to Federal Law No. 13,303/2016. Moreover, bills aiming at producing a general overhaul in public tender and contracting regulations have progressed in Congress – most notably Bill No. 6,814/2017, which, after having been approved by the Senate, is now under scrutiny at the Chamber of Representatives. If converted into law, it will supersede, among others, Law Nos. 8,666/1993 and 12,462/2011. Also relevant are ongoing attempts to correct concessions awarded during the previous administration, which, due to a combination between incorrect modelling and supervening events, were rendered unprofitable. Under Federal Law No. 8,987/1995, the federal government would be required to make such contracts lapse before it could award these projects to a different party – a burdensome and contentious procedure. In order to enable them to be resumed as soon as possible, Provisional Measure No. 752/2016 allowed said concessions to be ‘returned’ to the federal administration in order to be subsequently recontracted with a different private party. In 2017, this Provisional Measure was converted into Federal Law No. 13,448/2017. It is still unclear, though, whether the Presidency will have to issue a decree before such law can produce effects or not. Probably the most relevant judicial decision involving public contracts was rendered by the Supreme Federal Court in the Extraordinary Appeal No. 760,931. A divided Court confirmed that, under Federal Law No. 8,666/1993, the administration may not be held jointly or secondarily liable for labour law violations committed by its contracted parties. In obiter dicta, it was suggested that the administration could be held secondarily liable only if it could be clearly demonstrated that it had been negligent in the exercise of its oversight powers. Such negligence, however, could not be presumed, and the burden of demonstrating that no failure had occurred could not be automatically shifted to the administration upon mere request: interested parties would bear the burden of producing such evidence. The Brazilian Constitution states that entities directly or indirectly controlled by the federal, state or municipal governments must comply with the applicable government procurement rules. In other words, federal, state and municipal governments, autonomous government entities, public foundations, regulatory agencies, state-owned companies, and mixed capital companies controlled by the government are subject to those rules. States and municipalities are allowed to pass their own legislation regarding public bids as long as they do not deviate from certain parts of the regime set forth in Federal Law No. 8,666/1993 (or in other laws regarding public bids passed by the National Congress). In an exemption to the general rule, Petrobras, the state-owned oil company, adopted a simplified bidding proceeding under the Decree 2,745/1998. Although the simplified rules follow the general ideas structured in Federal Law No. 8,666/1993, Decree 2,745/1998 has been heavily criticised over the years, especially following the Operation Car Wash investigation. Decree 2,745/1998 enlarges the possibility of direct hiring, which has been suggested as one of the catalysts in Petrobras’s involvement in corruption. Because of this, as of mid 2018, Petrobras and other state-owned enterprises shall follow the rules set forth in the State-Owned Enterprises Bill and create a new internal procedure for the purposes of procuring goods and services. Petrobras complied with this command in October 2017. In Brazil, as a general rule, any contract involving a public entity (entities directly or indirectly controlled by the federal, state or municipal governments), such as contracts for supply of goods, services, works, transfer of lands, among others, must be regulated by government procurement rules and subject to a prior public bid and its principles. However, Federal Law No. 8,666/1993 sets forth some exceptional and specific cases in which the prior public bid may be deemed unnecessary. For example, the competitive procedure can be dismissed in cases of extreme urgency, war or state of emergency, failed prior procurement, services or products estimated at less than US$5,000, providing materials to army forces, transference of real estate between public entities, among others. In addition, the competition can be considered unfeasible and, as a result, unnecessary, when the nature of the product or service required is singular and only one supplier has the expertise needed by the public administration. In such cases, the public entity must justify the reasons why the public bid is unnecessary, appointing the situation of emergency, the singularity of the object of the contract, the study of the market, etc. The transference of the contract to third parties is only accepted when the RFP and the contract itself expressly allows so, and usually it is subject to the prior consent of the public entity, who will check if the new party meets the requirements of the RFP and the contracts. Therefore, any merger, spin-off, partial or total subcontracting, association with other company, total or partial assignment or transfer of the contractual object that is not previously authorised in the RFP or the contract can lead to its termination, according to Brazilian law. Central purchasing is still a relatively new concept in Brazil and has only been implemented in a few contexts. For example, aside from other state-level initiatives, in 2014 a Central Purchasing Department was created under the Ministry of Planning for common purchases at the federal level, but its activities have so far been limited. A more widely used framework relevant to common purchases is the reverse auction and, especially, its electronic version. These procedures were created in 2002 and 2005 and have been paramount ever since. Among the reasons for their large acceptance was the possibility to use the online system ‘Portal de Compras Governamentais’ (ComprasNet), and the inversion of phases so that only the winning bidder would have its qualification documents analysed. The use of this online system is not mandatory, but many bidding authorities have preferred it for its agility and convenience. Further, when using such online system, providers file their common qualification evidence (legal and tax regularities and financial economic requirements) within the Unified System for the Registry of Providers (SICAF), dispensing them to supply the same documentation again in each new bid. Bidding authorities at the federal level are obliged to previously consult SICAF before purchasing common goods and services. Besides SICAF, other bodies and entities can maintain complementary supplier registries, such as the ‘CADTEC’ within the Ministry of Defence. When allowed by the RFP, a group of bidders can participate jointly in a bid. The common structure required for this participation is the consortium or the commitment to create a consortium, and if the group of bidders win, they are required to either create a special purpose company (SPE) or a consortium before signing the public contract. The bidders are bound by the rules on public contracts since they provide a bid bond or offer a proposal to a given item of the RFP, and penalties can apply if they refuse to participate in the bid after such actions. The consortium can provide jointly the technical qualification documents, and must maintain pro rata the minimum net worth required in the RFP (which can be up to 30 per cent higher for consortia). Further specific rules applying to the SPE or the consortium are set out in each RFP, including provisions about subcontracting with a consortium member. PPPs are a type of concession, in Brazil, and require a competitive tender for the selection of the private partner. However, the RFP may allow the winning bidder to contract with third parties, in which case such contract may require the prior consent from the bidding authority, but by default does not require a new tendering process. In very specific cases, the RFP may also allow the use of qualification evidences from this contracted party. The public authority must publish the bidding notice as an RFP in the Official Gazette. In the RFP, the public authority defines all the conditions for the bidders’ participation, the bidding and contracting time frames, acts and procedures adopted in the course of the bidding proceeding and, eventually, the guarantees required to the bidders. In addition, the RFP must contain a draft form of the intended public contract, designs and other forms relevant to the RFP or the future public contract. e auction (used for selling of goods). With regard to the auction, Federal Law No. 10,520/2002 prescribes simplified conditions to procurement for the purchase of ordinary goods and services by the public authority (Federal Decree 5,450/2005 also prescribes conditions to the electronic version of auctions). Pursuant to the principle of the entailment to the bidding notice, which is one of the most important principles prescribed in Federal Law No. 8,666/1993, the conditions set forth in the RFP bind the public authority and the bidders during the bidding proceeding and the performance of the public contract. Following the publishing of the RFP, the bidders must present their qualification documentation and commercial (and technical, if applicable) proposals in the form and date prescribed in the RFP’s conditions. The qualification documentation serves to evidence the due legal existence and the financial good standing of the bidders and to attest that the bidders comply with the conditions and requirements established by the public authority in the RFP to perform the future public contract. Foreign bidders, when allowed to participate, must present documentation from their jurisdictions, observing the rules related to the public appositive prescribed in Hague Convection (in force in Brazil since August 2016). Through the ordinary procedure prescribed in Federal Law No. 8,666/1993, the analysis of the bidders’ qualification takes place before the opening of the commercial proposals. The public authority will rank only the qualified proposals under the RFP’s conditions, and adjudicate the winning bid in accordance with the criteria chosen for the bidding proceedings, which may be best price; best proposal in technical terms; or a combination of best price and best technical proposal. In addition to the procedure established in Federal Law No. 8,666/1993, there are some special procedure forms set forth in specific legislation. For instance, in the case of reverse auctions, after the presentation of the relevant documentation by the bidders, the public authority should initiate a phase of oral bidding or an electronic auction with the purpose of increasing the value of the proposals offered by the bidders. The main difference in that case is the inversion of phases of the bidding proceeding, which means that the public authority will analyse the qualification documentation of the winning bidder. 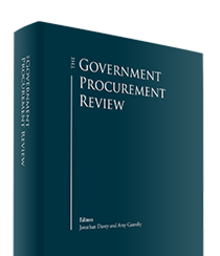 It is worth mentioning that the trend to simplify the bidding procedure (such as the inversion of phases prescribed to reverse auctions) has been incorporated in the Brazilian public procurement framework. Specific legislation on the regulatory agencies for certain market sectors (such as telecommunication and oil and gas) already prescribed the adoption of simplified procedures to the bidding proceedings that were not concerned with the hiring of civil engineering works. In addition, the recent Federal Law No. 13,303/2016 established that all state-owned companies should adopt simplified bidding rules in their internal proceedings. In accordance with the ordinary procedure, after the presentation of the relevant documents to the public authority, bidders are not able to change or amend their qualification documents or commercial proposals. a Legal regularity: constitution documents and power of attorney or corporate resolution appointing a legal representative with powers to represent the bidder (additional requirements may be set, such as a corporate structure diagram for groups of bidders and power of attorney to a legal representative in Brazil for foreign bidders). b Tax and labour regularity: certificates of compliance issued by tax authorities within the federal, state and municipal levels, by labour guarantor funds (FGTS) and by labour judicial courts. c Technical requirements: companies’ registration with the competent association, if any, and evidence that the bidder is fit to perform the activities in conformity with the characteristics, quantities and deadlines of the bid’s object. d Financial requirements: certificates that the company is not insolvent or under judicial restructuring proceedings, good financial conditions according to current financial statements and overall liquidity ratios, and minimum net worth (which may be increased by 30 per cent in the case of consortia). These requirements must be met in the exact form established in the RFP. Public bidding is a very strict and formal procedure in Brazil, which may give cause to disqualification due to minor defects in the documentation. The Brazilian Administrative Law entitles bidders to file administrative and judicial defences and appeals to preserve their rights, such as in cases of wrongful disqualification of proposals and non-compliance with the RFP with applicable legal requirements. The RFP can provide requirements to avoid conflicts of interest, such as, for example, the prohibition on bidders hiring staff from the bidding authorities. The RFP may also have provisions for the bidders with requirements or limitations on contracting with third parties. Further, Federal Law No. 8,666/1993 establishes that the author of a basic or executive project cannot participate in the bids to execute such project or to provide goods necessary to the project. The Law also prohibits public servants who work for the administrative entity promoting the RFP to be bidders. Additionally, in some states, such as São Paulo, private individuals can be allowed an exclusive authorisation to perform previous studies and project planning for a PPP, within the expression of interest (EOI) procedure. In such cases, when an exclusive authorisation is granted, the private individual authorised may not participate in the future bidding, nor can the future bidders be affiliated to such party, to avoid conflicts of interest. These limitations do not apply to EOI within the federal level, when authorisations are granted in a non-exclusive manner. When allowed by the RFP to participate directly, foreign entities functioning in the country should provide an authorisation decree duly registered with the competent body according to the company’s activity; and foreign entities not functioning in the country must establish a legal representative in Brazil with express powers to be served and to respond administratively and judicially. In such cases, equivalent qualification evidence available in the relevant jurisdiction should be provided and all foreign documents must be certified by a notary public as according to the originals and, if signed, must have the signatures certified by a notary public, and the notarisations must be legalised with the Brazilian consulate incumbent in the jurisdiction. Legalisation of documents is not needed in the event the acquirer is from a country party to the Apostille Convention. Further, documents must be translated into Portuguese by a sworn translator in Brazil. When submitting documents that are equivalent to Brazilian documents and in case there are no equivalent documents, the foreign entity must obtain a statement from the applicable consulate declaring that the documents are equivalent to Brazilian documents or that there are no equivalent documents, as the case may be. If the foreign entity decides to set up a local subsidiary to participate in the bid, attention must be given to the requirements of technical qualification, since the RFP can request evidence of the company’s or its employees’ track record. 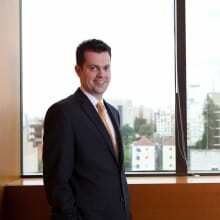 When consortia and SPEs are allowed, these requisites may be supplied by a Brazilian partner. Depending on the activity, there may be limitations or restrictions for foreign suppliers in areas such as nuclear energy; newspapers, magazines and other publications; television and radio networks; health services; business on frontier zones and rural lands; post office and telegraph services; domestic flight concessions and the aerospace industry. c a combination of best price and best technical proposal. For reverse auctions, following the presentation of the initial proposals by the bidders, an oral bidding or an electronic auction takes place, in order to allow the bidders to improve their bid. The main difference of this modality is the inversion of the phases of qualification and competition described above, with only the qualification documentation of the winning bidder being analysed. g a combination of two of the lowest tariff, highest offer and highest offer after the technical proposal qualification. Federal Law No. 11,079/2004, which created the PPP, sets as awarding criteria the lowest tariff with predetermined government compensation or the lowest government compensation with a predetermined tariff. As provided for by Law No. 12,349/2010, national products and services can be preferred in public biddings in certain cases, such as those related to science and IT systems considered strategic for the federal government. Such preference must be disregarded whenever the price of the Brazilian product or service exceeds the price of the foreign product or service by at least 25 per cent. Under Complementary Law No. 123/2006, micro-enterprises and small businesses may also be given preference in certain bids, when the winning bid is up to 10 per cent better than their proposals. In these cases, such companies must be given the opportunity to present a new bid and improve their price. The Brazilian public authority must carry out the bidding proceeding through an administrative proceeding that should observe the guiding principle of transparency. This means that the public authority should disclose all available information not only to the bidders, but also to the public in general. That is why the public authority must publish the RFP in the Official Gazette. As a rule, all bidders are informed of the decisions of the administration and of the results of an RFP at the same time, so there is no asymmetry of information. Brazil also has an Information Access Law (Federal Law No. 12,527/2011), which allows any person to solicit the access of documents and general information with the administration. Once the public authority publishes the RFP, the interested parties can raise questions or challenge the conditions of the bidding procedure. Additionally, Federal Law No. 8,666/1993 sets forth that any citizen may file an opposition to the RFP in case of irregularities or any violation of the law. All formal decisions issued by the authority in charge of the bidding process may be challenged administratively and judicially in Brazil. It is common for some level of litigation to occur in public bids. Bidders commonly file administrative appeals and (less frequently, but still commonly) judicial lawsuits in order to challenge bids’ final or partial results (such as decisions that find certain bidders qualified to continue in the bidding process). The chances of success of a challenge to any given decision will obviously depend on the quality of the facts and argument of law. Administrative authorities are usually more conservative in their interpretation of the law, so they tend to adhere more to literal interpretations than the judiciary. Litigation in public bids is one of the most common reasons why bidding processes are stalled, sometimes for long periods, as injunctions may be granted to freeze the proceedings until the judiciary resolves the case. How long a dispute will take to be resolved varies dramatically depending on the complexity of the case and whether the challenge was brought administratively or judicially (administrative proceedings are usually very quick and may be resolved in a matter of few days, while judicial proceedings may take several months). Disputing an award administratively will typically not involve the payment of fees. Also, administrative challenges do not need to be written by licensed attorneys, and this may contribute to keeping costs low. On the other hand, judicial litigation does involve payment of fees (which are usually calculated considering the amount in dispute), require the involvement of a licensed attorney and, in the event the plaintiff loses the dispute, he or she may have to pay attorneys’ fees to the opposing party’s counsel. Federal Law No. 8,666/1993 sets the general framework for administrative appeals in bidding processes; it states that a bidder may file an administrative appeal to a higher administrative authority within five days from the date in which a decision was officially rendered. As a default, only challenges to decisions that qualify or disqualify bidders to continue in the contest and that decide the winner of the bid entail the suspension of the proceeding until the appeal is decided; however, the competent authority may determine the suspension of the proceeding in other cases if it considers it to be in the public interest. The RFP usually defines who is the competent authority to review an administrative appeal. Judicial challenges are commonly brought by bidders in the form of a writ of mandamus, in which the bidder (plaintiff) alleges that there was a clear violation of a given right that may be demonstrated by documental evidence only. Parties usually prefer the writ of mandamus because it has an expedited procedure compared to the other types of civil lawsuits that can also be filed in more complex cases. A writ of mandamus can be filed up to 120 days after the date on which a party discovered the violation of the right that will be litigated. Judicial review of administrative decisions can also be initiated by any citizen (in the form of a ‘popular lawsuit’, a special type of lawsuit provided for in Federal Law No. 4,717/1965 that allows any citizen to request the nullity of acts that cause harm to the Public Administration) and by the public prosecutors. Audit courts also review awards and performance of contracts executed by the Public Administration and may determine the suspension of a given act or contract (which must be subsequently decided by the legislative branch). Audit courts are inspecting bodies that assist the legislative branch in controlling the acts taken by the Public Administration that entail expenditures of public money. Decisions in public bids may be challenged for violations of the rules set forth in the RFP or violations of any applicable laws, or both. Courts have wide discretion in establishing the applicable remedies in the course of litigation. For instance, they may grant injunctions suspending acts or allowing acts to occur, and annul acts or decisions taken by the administration in the course of the public bid. Judicial review of administrative acts, however, is typically limited to the analysis of the legality of such acts. Courts are not allowed to second-guess decisions regarding discretionary administrative acts with regard to their convenience or efficiency, but they may scrutinise whether or not the administration has abused its discretion. Following severe political and economic turbulence in 2016, which recovered slightly in 2017, 2018 is a year of great expectations in Brazil. The general consensus is that the economy could grow by 3 per cent with inflation under control and stable interest rates. This optimism is largely owing to the federal government’s continued push for liberal measures (including substantial modifications to labour laws and simplification of tax laws) in the hope of increasing the country’s economic agility. Because of this policy, the wave of high-profile bids and concessions inaugurated last year is expected to continue throughout 2018; for example, Eletrobras, the state-owned energy giant responsible for a third of Brazilian energy, is expected to be privatised. Moreover, the federal government has elected, as one of its 15 priority projects for 2018, a major reform in the public tender law in order to simplify and expedite bidding procedures. 2018 is also an election year for the highest political offices in the country and, consequently, there is high pressure for infrastructure works to be concluded before the elections. This contributes to an increase in the volume of business in this sector. At the state level, several states (including some with the biggest political and economic relevance, such as Rio de Janeiro and Rio Grande do Sul) are in financial dire straits and are formulating plans that involve selling their last state-owned companies in order to relieve their debts. 1 Marcos Ludwig is a partner, Mauro Hiane de Moura is a counsel and Filipe Scherer Oliveira is a senior associate at Veirano Advogados.